OLD PARKED CARS. 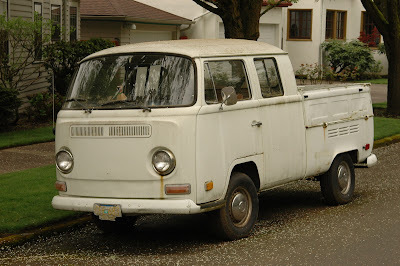 : 1971 Volkswagen Double Cab. Hey guys, is there any reason the pictures on the last two posts have been smaller? Just wondering. the blogger interface changed last night, that must be it. i'll fix later. Looks more like a '71, judging from those wheels. Also, excellent front license plate. 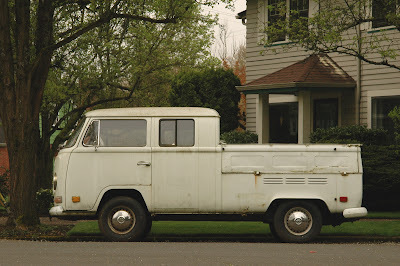 Love the crew cab VWs, this one looks great. Double cabs have always been relatively rare. Good find and excellent pictures. 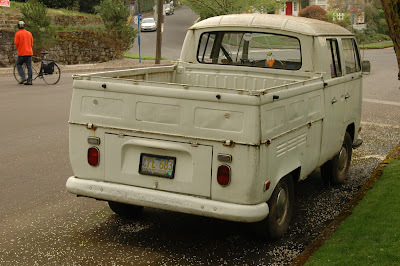 Love the double cab. Those fold down sides must make things easier to load. Judging by the square rear marker lights, I'd also say this is a '71 or '72. thanks for the tips, guys. i changed it to '71.